Spring break 2019 might have been the quickest trip we’ve ever thrown together. 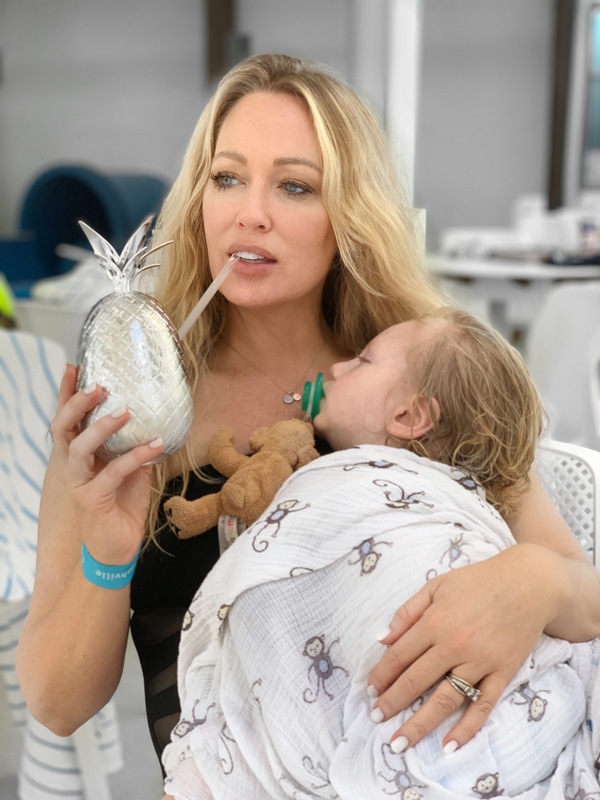 With three boys, one of them being under two, we’re a little lethargic when it comes to planning beach vacations, or major getaways right now. So, with nothing on the books for spring break, this mama came up with something to get us all out of the house. 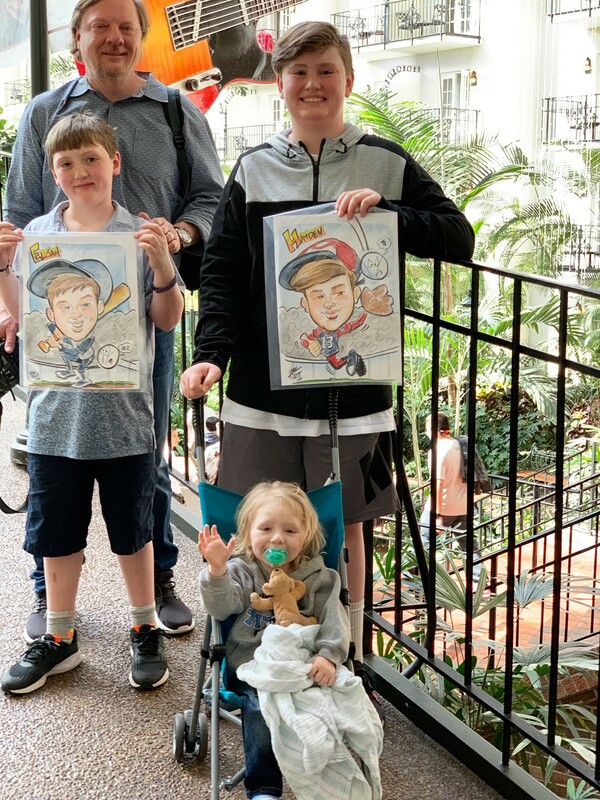 The plan….a family stay cation. 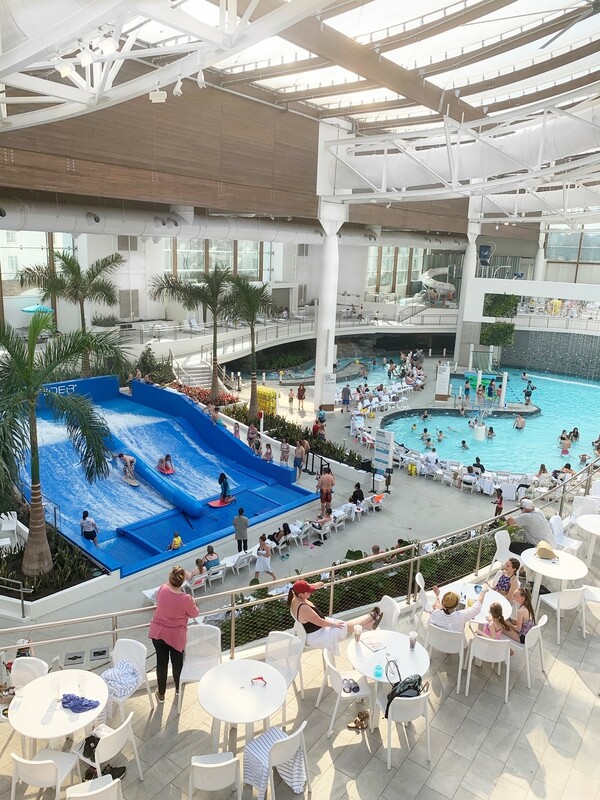 We have the largest, non-casino, hotel in the country right here in our back yard, and they happen to have opened their new, and huge, water park, SoundWaves, just in time for the Sharps. 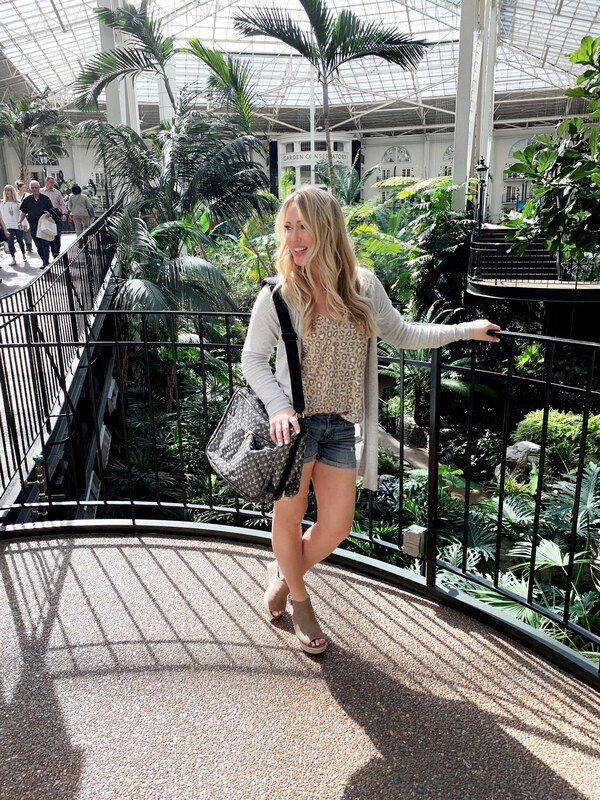 The Opryland Hotel is nothing short of amazing, and all of those over-the-top words used to describe beautiful things. I’ve always been blown away by the unbelievable size of the place, and the fact that there is basically an entire little town (and a river) built within a hotel structure, just blows my mind. For those of you who haven’t yet visited, or even for those of you that have, here’s a little rundown of the hotel, and the fun. 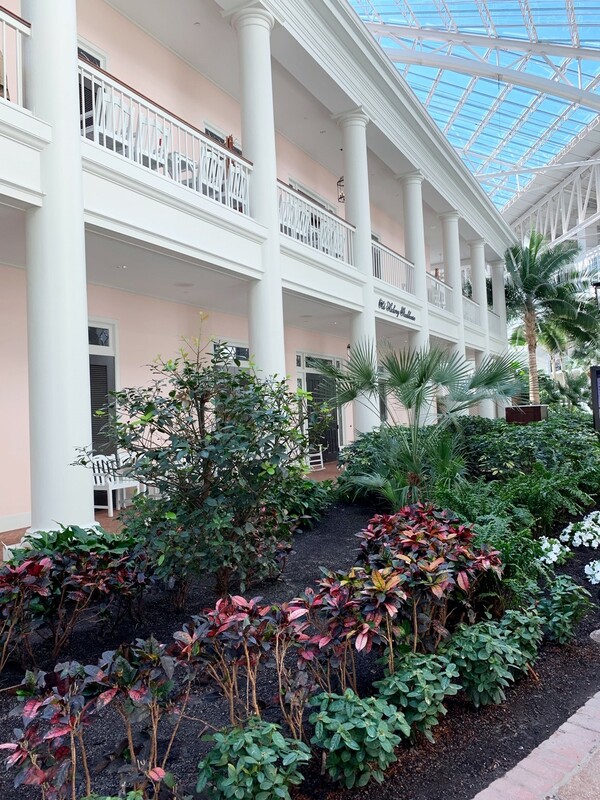 The hotel is broken down into four main areas: The Magnolias, The Garden Conservatory, The Cascades, and The Delta. Each have their own beauty and uniqueness. 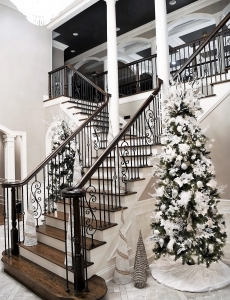 The Magnolias is the original entrance of the hotel, and houses an incredible grand split stair case. This area is where you’ll find several places to eat…. a great sports bar called Fuse, a live music restaurant called Jack Daniel’s, and a pub called American Craft Tavern. Beyond these eating places is an area that leads to the convention center that the hotel is known for as well. We found ourselves treating the Magnolias area as sort of the center point, meeting place, throughout our stay. Plus, the entrance to the water-park is in this area, so we came to know it well. 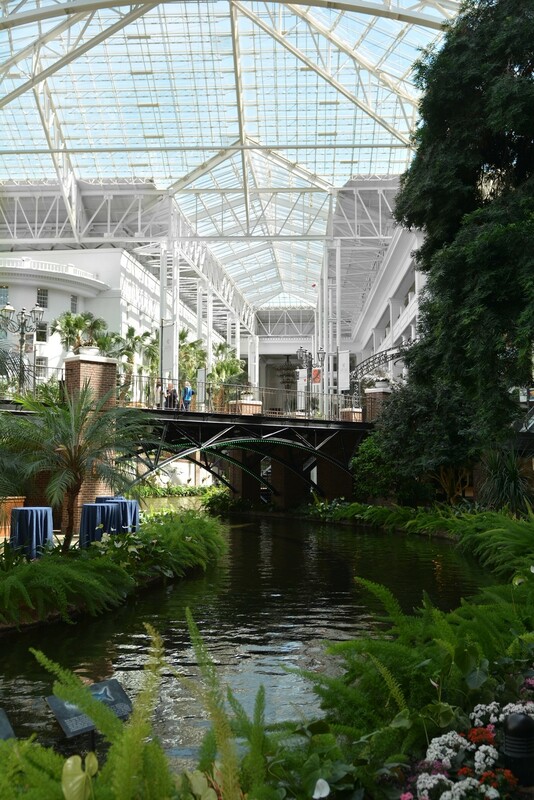 The other three main areas in the hotel, The Delta, The Cascades, and The Garden Conservatory, are filled with greenery, tropical plants, waterfalls, amazing restaurants, cafes, shops, bars, walking paths, a river (yes and it’s a quarter mile long), and a river boat that guests can ride through The Delta area. The pictures, although beautiful, can in no way capture the grand beauty that you will see when you visit in person. 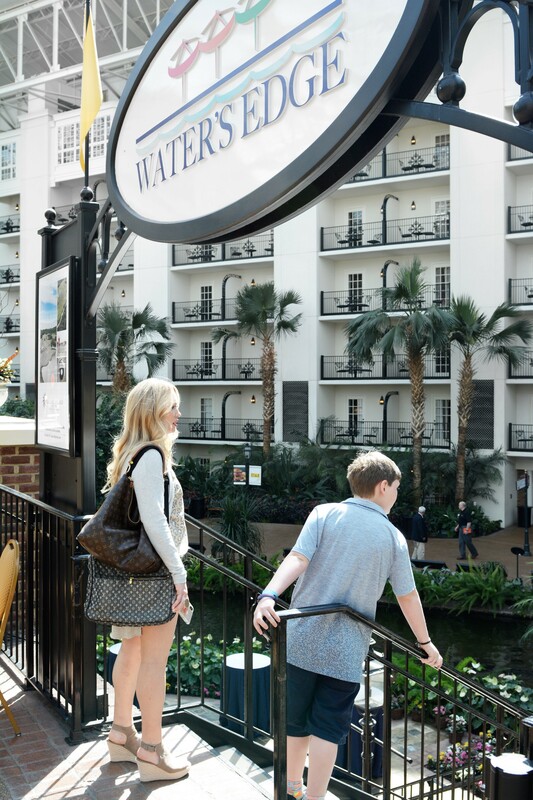 Out of these three areas, The Delta has the most to do to keep you entertained with a boat ride, shopping and eating. 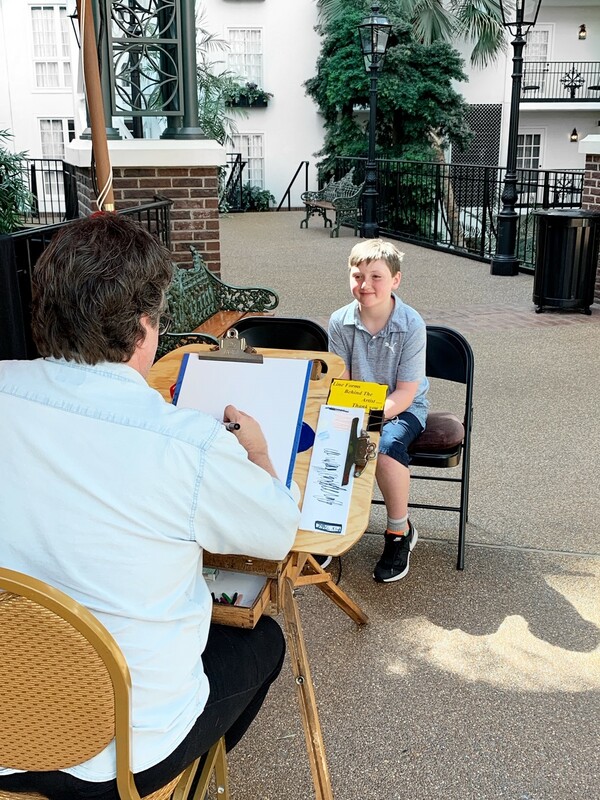 The boys got their caricatures drawn, which they had never done before, and we enjoyed one of the most delicious burgers at a build-your-own-burger cafe called Stax. Be sure to eat there. There are three fine dining restaurants in the hotel which take reservations…..Old Hickory Steakhouse (American), Wasabi (Japanese), and Ravello (Italian). All of the other restaurants and cafes throughout the hotel are first come first serve…..and there are plenty. Although we had made reservations at all three of these, we ended up staying at the water-park too long and missed all but one reservation. We made it to Old Hickory Steakhouse, and it was fabulous. While there, we watched a beautiful water and light show display right there in The Delta. So, when you make reservations at Old Hickory, be sure to ask for a table with a good light show view. Build in some time to your schedule, after check-in, to acclimate yourself to the hotel. If not, you’ll be finding your way around as you go, which might be a little frustrating if you’re on a tight schedule. The hotel is so large that you are going to want to have your bearings straight in order to fully enjoy your stay and not spend extra time navigating and reading maps to find your destination within the hotel. We got turned around quite a bit the first night. When you book your stay, ask about room size, if that is important to you. I believe there are a few different options. 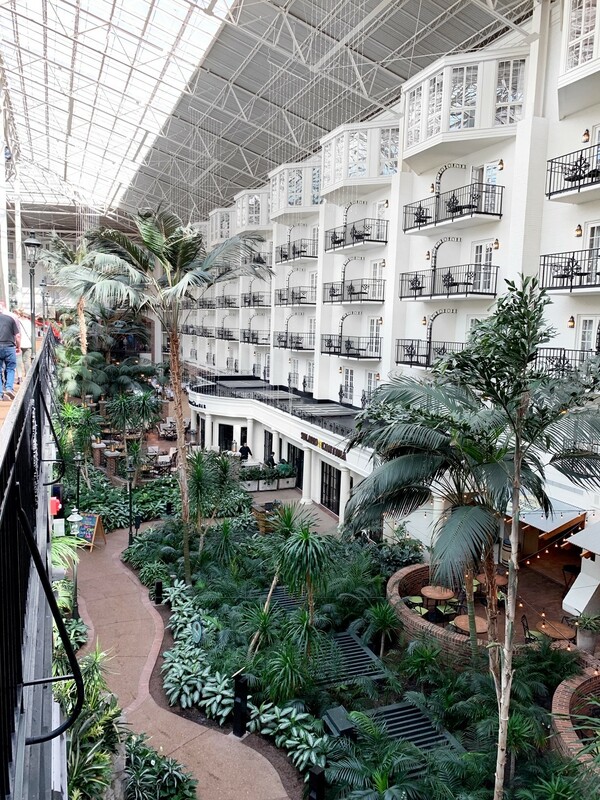 We booked an atrium view, two queen bed room, but once in the room realized it was smaller than the typical two queen bed hotel room. We ended up upgrading to a suite the next day because three boys in this small of a space was going to make me crazy for the next couple of nights. Booking adjoining rooms would be a good solution as well. Wear casual clothing and shoes. Although the hotel, and main restaurants have a beautiful, and more formal atmosphere, the attire in every area of the hotel is very casual and relaxed. Plus, you’ll want comfortable shoes since there is so much walking inside. I made a quick trip to Target a couple of nights before we left to pick out some cute things to take. It all ended up being the perfect mix of comfortable and cute for our stay. Target never disappoints. Now, let’s talk SoundWaves Water Park. I mean, what a blast! It sits on 4 acres, and features 111,ooo square feet of indoor fun including 5 water slides, 2 lazy rivers, a Flowrider crowd surfer, a huge activity pool, a toddler/baby pool and indoor slide/activity area, a cafe, an adult only area and infinity pool, an arcade with a rock climbing wall, and private cabanas that can be reserved in advance. Yep, all of this is yours to enjoy when you stay at the hotel! 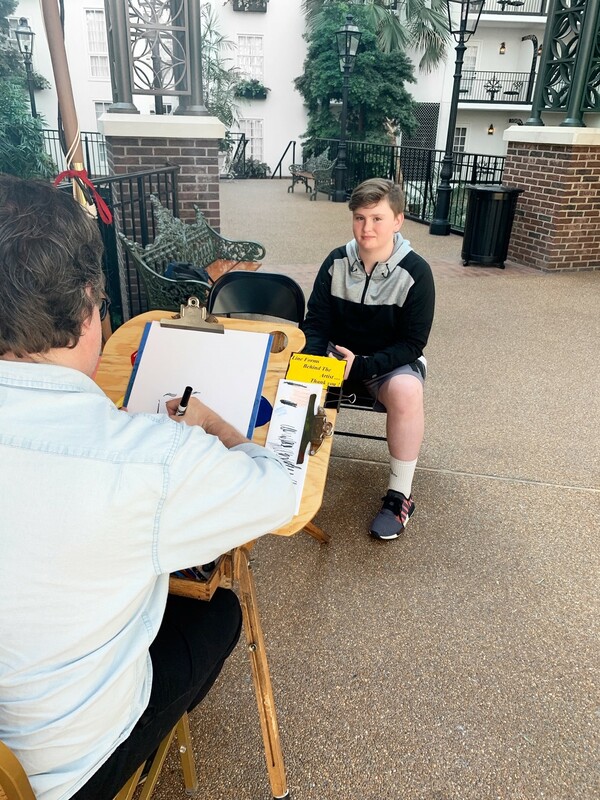 Tickets to the park can be purchased as a package with some of the hotel rooms. If not a package price, then it’s first come, first serve for tickets at the door. 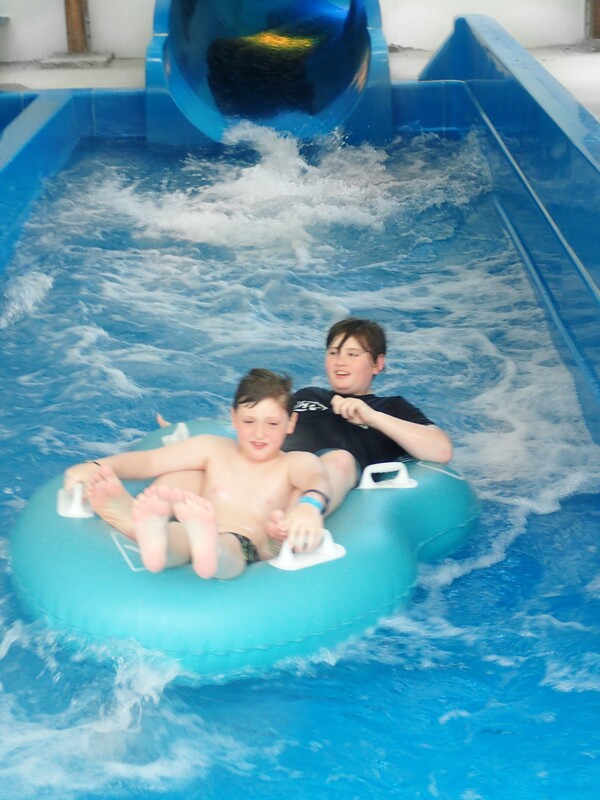 Without a doubt, SoundWaves is the best water park we’ve visited. It’s clean, modern, and just all around entertaining, with enough to do to fill a couple of days of fun, or more. And I’m just speaking of the inside. There is an outdoor area that opens in May of 2019 with more water slides, which in my research, sound like they will be even more adrenaline rushing than the ones inside. The outdoor will also include a wave pool with an amphitheater, a kids pool, an adult only pool, more cabanas, and from what I was told, food trucks with all different types of food are planned for the outdoor eating choices. We will definitely be going back for this. 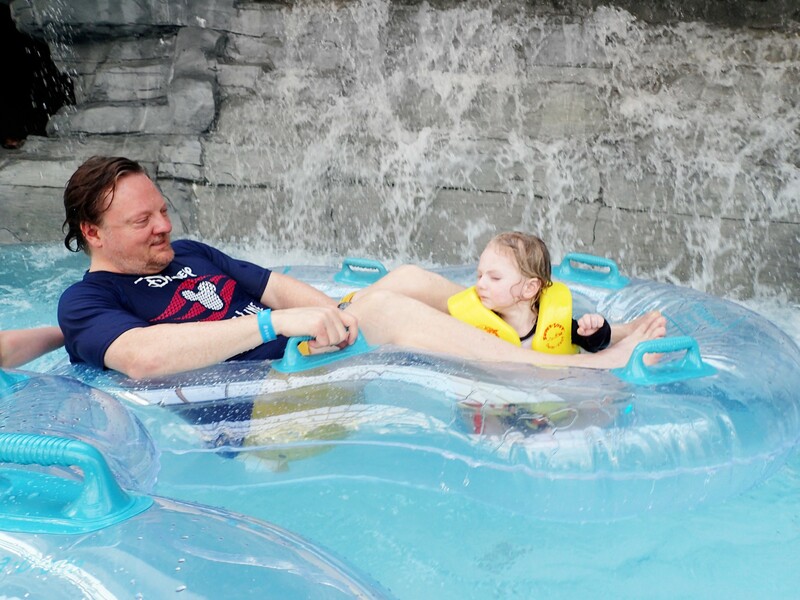 During our stay, we spent the most time as a family enjoying the lazy rivers. One is a fast river for swimming, chasing, racing, and just all around playing. There are jets in the side of the river walls that boost your speed, which make for some great laughs, especially when you’re not expecting it. And talk about cardio. This is the go-to river after you eat that pizza lunch and have some drinks. It makes for a seriously good workout. The second lazy river was a little more relaxing. It’s a floating river with single and double inner tubes provided. It was a little like bumper cars in a softer kind of way, and our youngest enjoyed this river the most since he could sit up front and spectate. The slides were amazing too. There is a family slide that requires four to a raft, so if you don’t have four in your party, you can adopt members of another family which makes for good community fun. There are a couple of other raft slides as well. The craziest is one which goes down into a huge, and I mean huge, silo where you spin around until it spits you out into the other half of the slide. This one was a little rough for me. Fun, but rough. The boys loved it. The two body slides were pretty great, and probably my favorites. One is dark. You know, the kind of dark where you can’t see your hand in front of your face. From what I understand, it lights up with LED lights at night. The other body slide is normally lit, and was my favorite. Overall, we had an amazing time. You know how we moms sometimes feel like we need a vacation after the vacation? I can honestly say, this was not like that at all. I actually felt like I had gotten away stress free, and I even seemed to forget that we were right here in our own city. We will definitely be back when the outdoor area opens! 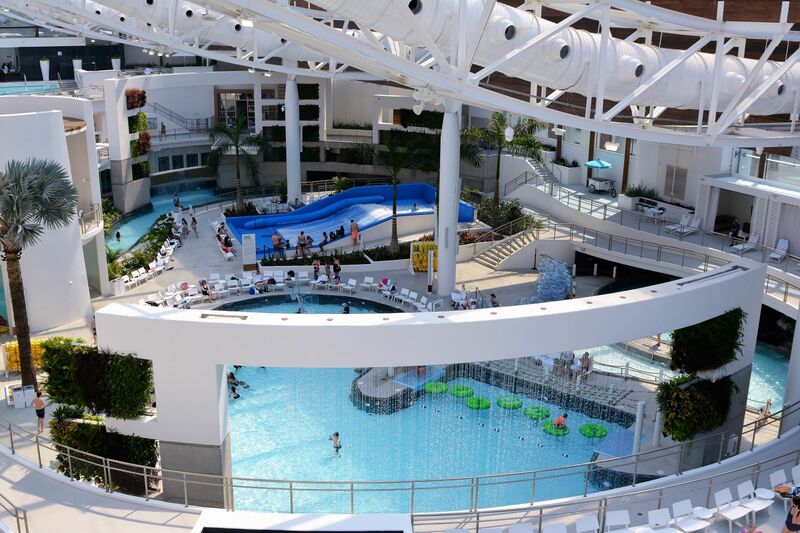 If you love water parks, you have to visit SoundWaves. 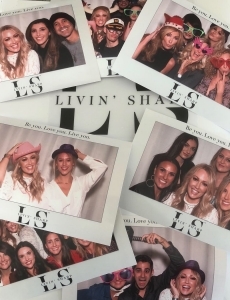 I’m pretty sure you’ll love it as much as we did! The most important tip I can give you is to rent a cabana! We did not know this, and just got lucky to find one available. You will have your own private area, perfect for lounging, eating, drinking and storing your belongings. There aren’t many of them…. only about 8 if I recall correctly, so call in advance to reserve. 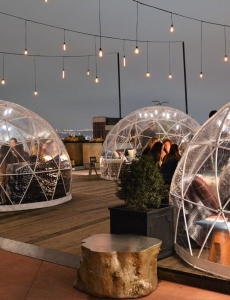 The outdoor area is planned to have about double that amount. Spend a little time in the adult only area. 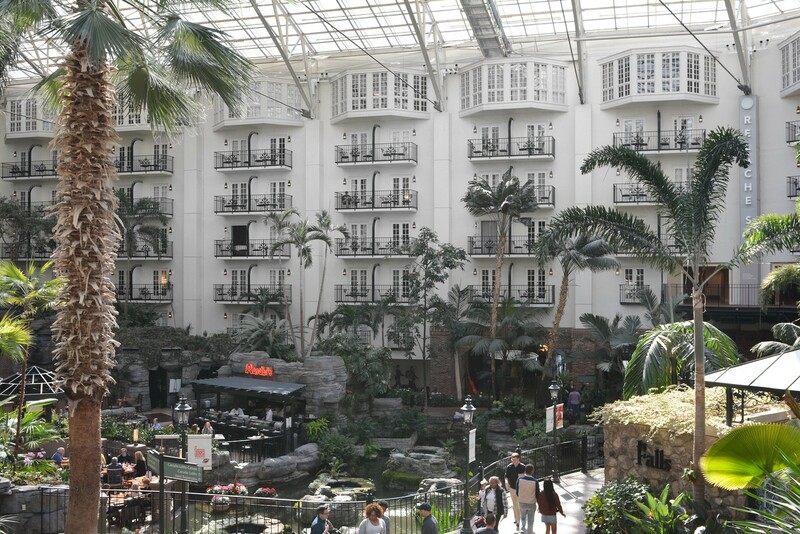 It sits at the tallest point of the space, and has a beautiful view of the entire indoor park, along with an infinity pool and an adult bar that serves drinks not served in the main area. The silver pineapple drink you’ll see when you scroll down was too adorable to pass up. Honestly, I don’t even know what drink was served in it. It was delicious, but I just really wanted the container. 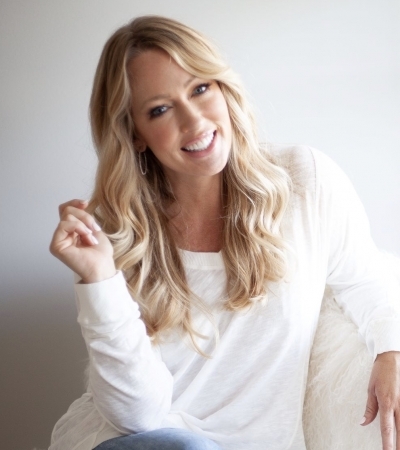 As far as what to wear……it’s a family place, so modest and comfortable is always best. 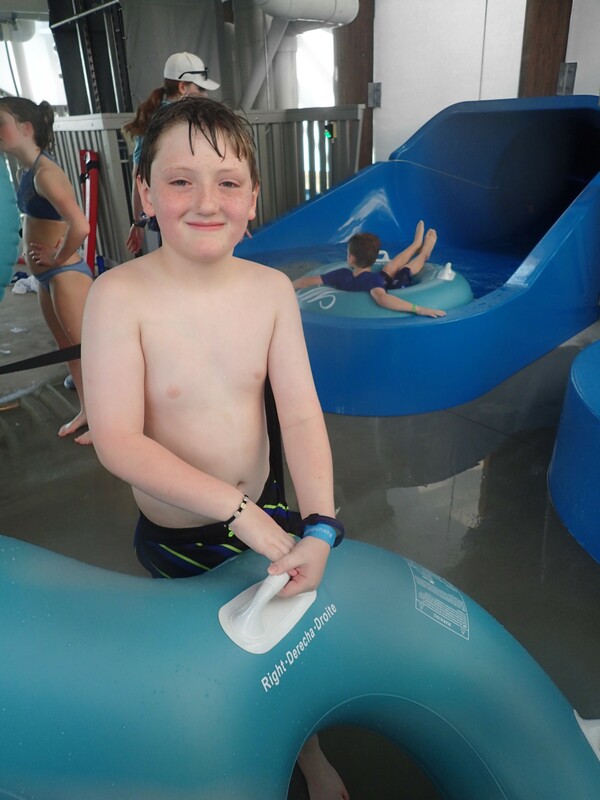 And, like with any water park, you’ll want to wear a swim suit that doesn’t come off when you hit the water at the bottom of the slides! The ones I chose from Target were perfect for our adventure. Really appreciate this post. Makes me want to bring the niece and her children. Because I’ve been there so much, this gave me ‘new eyes’ to see this as a vacation destination. Thanks for the useful posts with guidelines much needed. I’m so glad you found it useful! I, too, was able to see the hotel with new eyes after this trip. I completely forgot we were home.